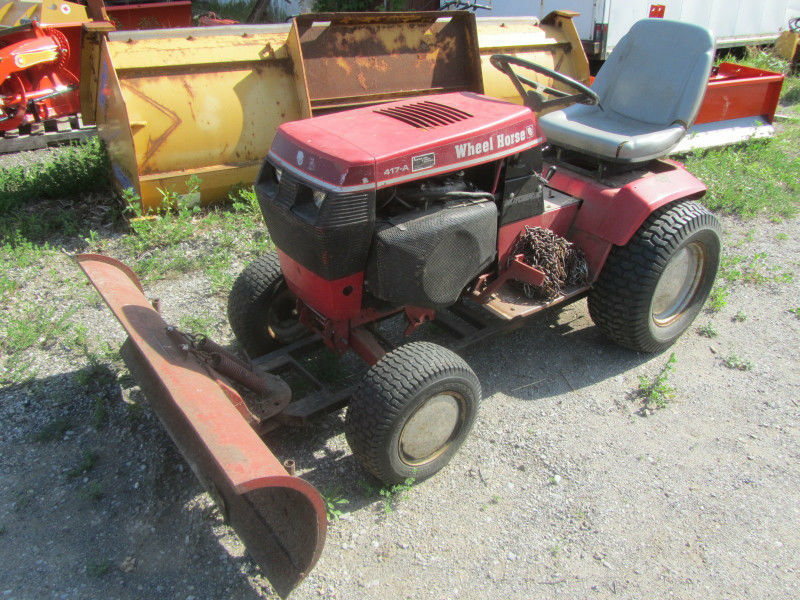 We offer a wide range of used equipment at very competitive pricing. 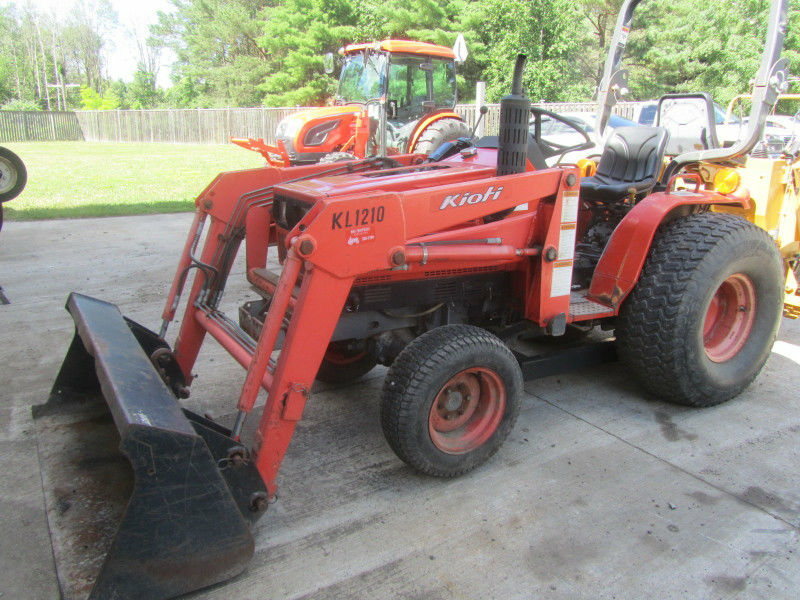 Kioti NX5010CH Cab Tractor and loader. 50 H.P. with 3 Range Hydrostatic Transmission. 206 hrs. 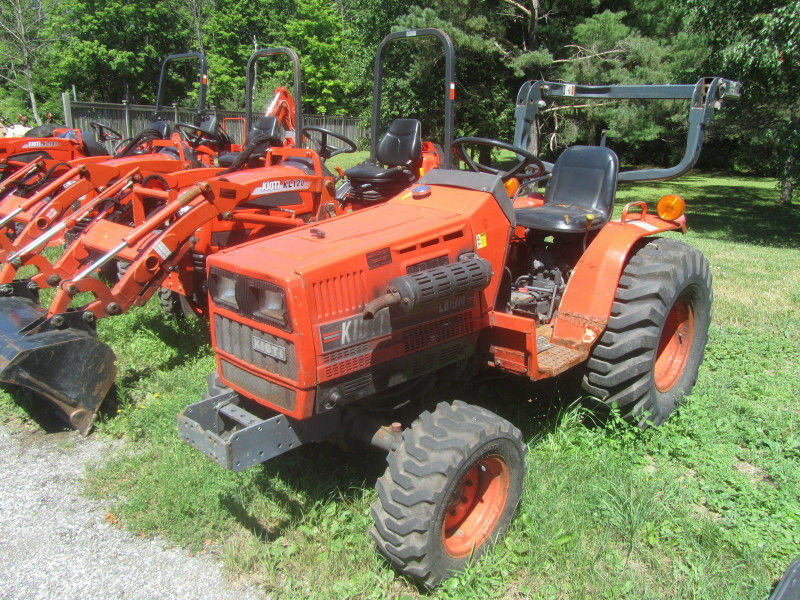 Kubota L5240 Compact Tractor 4X4 with Cab, Air Heat and Loader. 1395 Hrs. 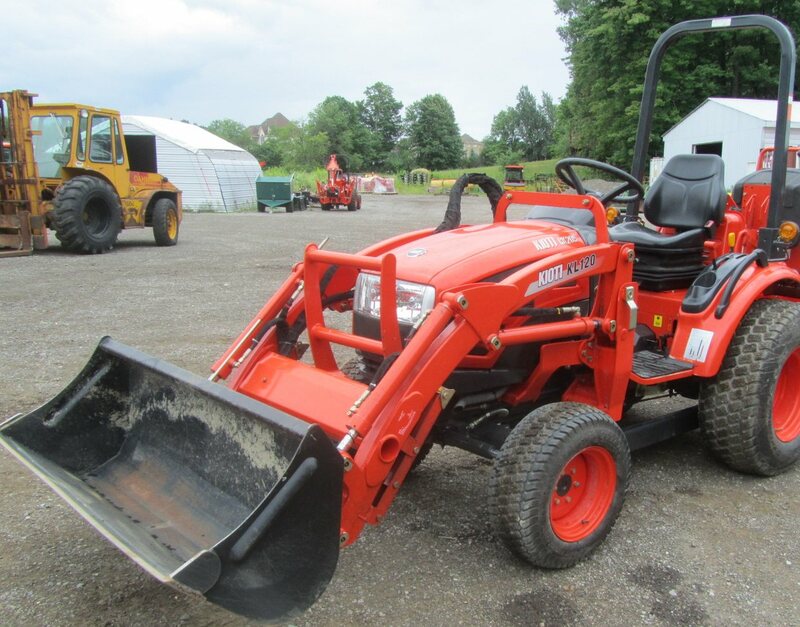 Kubota BX25D 23 h.p. with loader and Backhoe, 150 hrs. Kioti LK3054XS 30 H.P. Compact Tractor with loader. 475 Hrs. 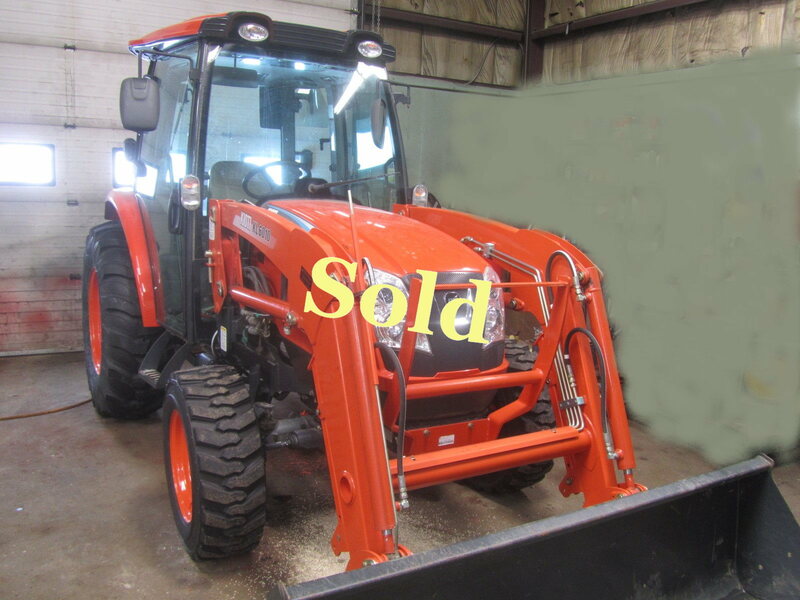 2015 Kioti CK20S Compact Tractor 550v Hrs. with Front end loader. Kioti LB1914 Compact Tractor 4X4 with Front end loader and NEW Backhoe. Kioti DK45 4WD with loader 45 h.p..
John Deere 4100 Compact Tractor loader with midmount mower. 20 h.p. Ford 1500 4x4 with loader. 20 h.p. 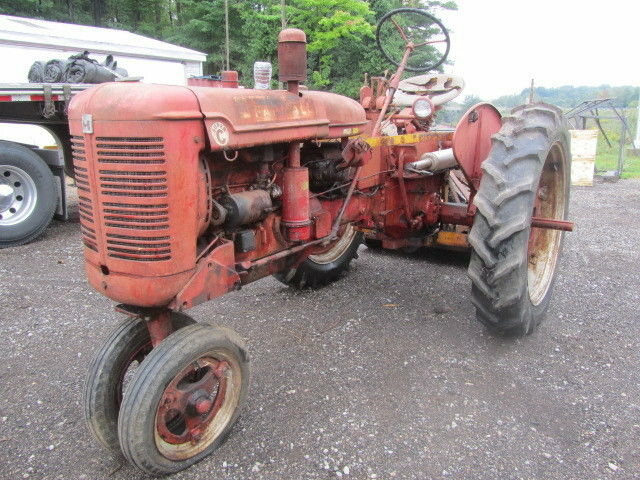 IH Super C, a collector tractor. 417-A Wheel Horse Garden Tractor 17 h.p. with front blade, front snow blower, tire chains and rear mounted tiller.